Everyone loves a good story. But how essential is a story in your video? From the time we’re kids to the twilight of our lives, something in the human soul is drawn and attracted to the telling of a story and an emotional journey. It creates sympathy and a connection between people, and has long been one of the most effective ways to garner attention and entertain. It’s the primordial reason we pay twenty dollars to go see a movie, or spend hours watching our favorite TV series on Netflix. Being able to immerse ourselves in another world is fun, engaging and relaxing. Thus, translating that power to a video marketing campaign, though difficult, is worth the time and effort of the marketer. Despite the fact that video is becoming far more popular and widespread than ever before, people still know an ad when they see it, and most ads need to be less than 90 seconds. This means you only have a short time to draw people in before they’re turned off to your pitch and missed the chance to get involved with the story. 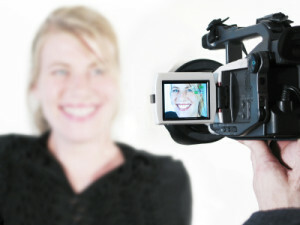 However, if by chance you knew how to get the crucial elements of a story into a 60-90 second commercial; would it work? To get the benefit of a story, you’ve got to know how to approach production. Here are some crucial steps to keep in mind. An ad campaign focusing on a story means that your product isn’t going to be on the forefront, at least not right way. That means you’re not only counting on people who are interested in your product, but you’re also counting on people who might be interested in whatever story you’re telling. In that situation it’s crucial that you understand what kind of story your market would be interested in. For example, if you’re trying to sell a brand of skateboarding shoes or a new line of flat sneakers, using a high school football type of rags-to-riches storyline wouldn’t be a good call. Because your market probably isn’t interested in football. Better choices are easy to see on the surface. Skateboarding, surfing or anything that an extreme sports enthusiast could identify with would be a good interest to focus on. That said, do your research and think about what kind of story your prospective market would want to hear about. One of the most powerful ways to keep people involved with any piece of media is to peak curiosity. Whether or not you can get people to watch a video is going to depend highly on whether or not you can invoke a certain level of curiosity within the first few seconds of your production. So let’s assume that you’ve nailed it to this point. You’ve got something that will interest your market, and you’ve found a way to open your video with something that’s going to make people insatiably curious about your ad. What’s left to do? At this point, you need to think about building a bridge to your product. Now how that looks and how closely the story relates to your product is going to vary significantly. Some ads seem to bear little or no resemblance to a product until you see a company’s logo at the end, while others are obviously tied to their respective products from the beginning. Whatever side you lean on, make sure that your ad leads people from the emotional connection you’ve made with them to the product that you’re trying to sell or the campaign you’re raising awareness to. When you’re using stories and emotional connection in your marketing campaigns, you need to take a distinctly human approach to your videos. That means knowing your audience and making sure that you address them on a personal level as much as possible. Appealing to a wide audience on personal basis is difficult, because you can’t deal with everybody on a one-to-one level, yet storytelling gives you the best chance to appeal to as many people as possible. You just need to take the time to make it compelling! Camille McClane is a tech and social media enthusiast who also enjoys writing about and studying effective video marketing. She hopes you enjoy this article.